Treat your little one to our white shawl and bib gift set, a perfect gift set for a newborn ensuring to keep them nice and cool in summer and snug in winter, and an ideal way to minimalize a messy meal time! Also available in cream. Comfort your little one with our teddy bear comforter and blanket set, the perfect addition to their nursery to help both soothe and keep baby warm sending them into a peaceful slumber! 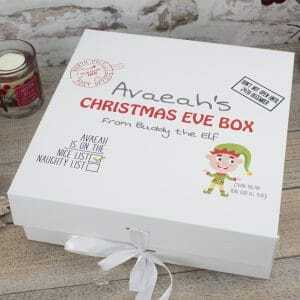 Our gorgeous gift set, available in a range of colours, can be personalised free of charge... simply select the colour and enter your little ones name below to personalise! 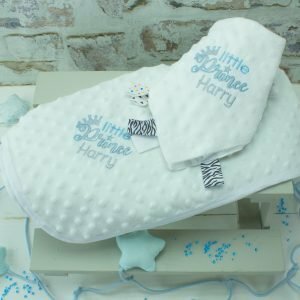 Our adorable Personalised 'Royal Baby' Gift set is sure to make your very own baby looking like royalty, made from 100% soft white cotton making both comfortable for your baby girl and durable from Mum & Dad. 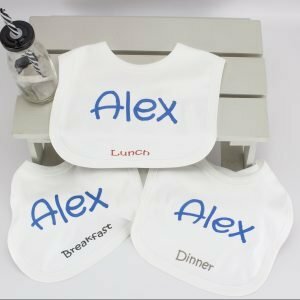 This Set includes a personalised babygro, bodysuit, Bib & hat!